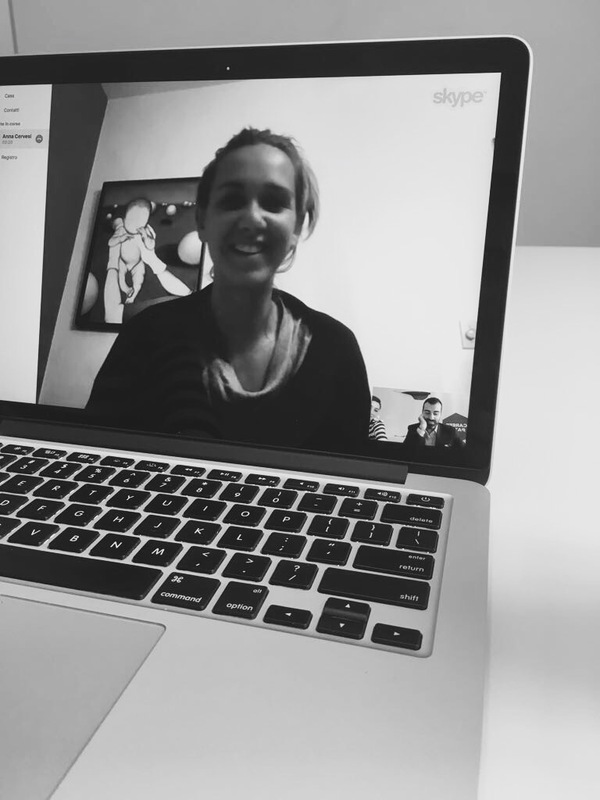 Last week we met and shared a Skype call with Anna , one of our Student Value Path participants. She is experiencing her summer internship in Miami in the field of architecture. How is your internship going, Anna? How is your job organized? I have to say, I’m quite enthusiastic. I’m working in an architect’s office and we are dealing with different projects: a Kiton store, a penthouse, a college dorm and two restaurants. Even though my schedule changes each day — sometimes I start early in the morning and I finish in the afternoon, and sometimes I start late in the morning but I stay in the office until late evening — I am always quite busy. I work in a team with nice and supportive colleagues. The working environment is quite focused and animated and I love it: everyday is a new surprise. I have my own desk with two computers which allows me to have everything under tight control, and I am always given the material necessary for my projects. During lunch breaks we eat all together in the office, and I think it’s amazing in how it allows me to get to know my colleagues better. What do you do in your spare time in Miami? I found a Zumba class near my house, so I go almost every morning before going to work. Then the lady who is hosting me always involves me in different activities: I go with her to the supermarket, we go together to parties and barbecues. She is very kind, so I have been very lucky. What are the things you are enjoying the most and what the least? Honestly, at the moment I couldn’t find a single negative thing. I’m very satisfied with how things are going. I really like is the direct contact with clients. I’m improving my ability to connect with people and understand their needs. Then I love the fact that I work a lot and don’t have time to get bored. Ss I already pointed out, my working environment is really calm and positive. My boss comes to the office singing everyday which I find extremely relaxing and mood enhancing! Maybe the only negative thing is that Miami is a very big city and they don’t have efficient public transport. Therefore, I go to work by bicycle because it takes me less time and it certainly has a positive effect on my body. The climate is quite humid but in the end you get used to it. What do you think you are learning? Have you found any difference with the Italian architectural system? I’m employing all the skills and knowledge I learned at school and also using new software and techniques. Furthermore, though I’m acquainted with the European legislation on architecture, Iam learning how the American system works. It is quite different — in Italy we have a lot of rules and regulations for building construction because we have historical heritage; making it more difficult to obtain the permission to build. On the contrary, in the US they build freely and don’t need all the papers we use in Italy! As an example, if they planned to build a skyscraper with 30 floors and in the course of action the architect decides to add another floor, they just do it! In Italy it would be unthinkable. Would you recommend the summer internship experience? Of course. I was almost obliged to have this experience because I’m studying towards a specialty degree in Architecture in France, and we must have a 5 months internship experience, 3 of which abroad. So I came in contact with Career Paths and they organized my internship in Miami. They are very professional, always are in contact and I give them feedback constantly. I’m learning a lot of things and not only from a professional point of view. Everyday I’m in contact with many different people and cultures, and certainly this gives me the opportunity to broaden my horizons. Furthermore, I recommend the experience in the architectural sector because here in the US there are many opportunities. Despite the fact that I haven’t finished my internship experience yet, I can affirm that I would like to work here, in this context, and maybe, after my specialty degree, I could come back and find a job in the US.